Holland Park Villas, Kensington W8 is a discreet, gated development immediately adjacent to Holland Park, accessible via Campden Hill. This exclusive development comprises 68 elegant apartments and 4 exceptional penthouses, each with secure underground parking and storage facilities. Undoubtedly the finest apartment within The Montevetro Building. This stunning penthouse apartment is situated on the top three floors of the tallest block at Montevetro The apartment is offered with 6 car parking spaces and benefits from 24 hour security, a tennis court and gymnasium. 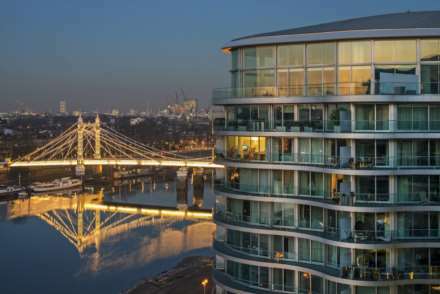 An exceptional 4 bedroom penthouse apartment in the iconic Albion Riverside building next to Albert Bridge and Battersea Park. Situated on the 9th & 10th floors with exceptional views and a riverside terrace, 3 parking spaces, use of a gymnasium, swimming pool and 24 hour concierge services. A unique 3 bedroom penthouse situated on the 9th &10th floors of Albion Riverside. The property has stunning views of Albert Bridge and the river from the double height reception room. Further benefits include 24 hour concierge services, a gymnasium, indoor swimming pool and parking for 2 cars. We are delighted to offer this four/five bed bedroom house in St Mary`s Place within Kensington Green. The property is offered in good order throughout and comprises 3094 sq ft (287.5 sq m). We are delighted to offer this well-presented four bedroom house situated in a quiet cobbled mews within the security of Kensington Green. The house is offered in excellent condition throughout and is laid out over four floors. A pretty 4 bedroom house on a quiet cobbled mews in Kensington Green. This spacious property has its own private garden and direct access to two car parking spaces in the car park. 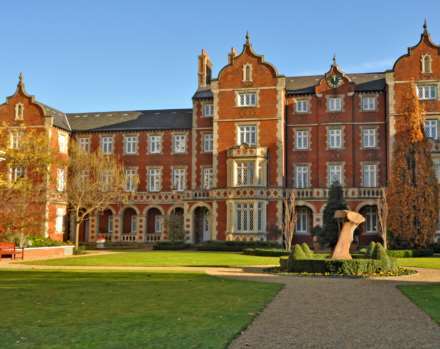 Kensington Green has 24 hour security, award winning gardens, a gymnasium and is close to Kensington High Street. An exceptional 3 bedroom apartment in the prestigious Albion Riverside development designed by Foster and Partners. The apartment is situated on the eighth floor on the building and has views across the river and of Albert Bridge. There is a gym, pool, parking and 24 hour security. A spacious 6th floor apartment with outstanding views over the landscaped gardens and beyond. The apartment has 2 reception rooms and 3 bedrooms together with extensive terracing.The apartment has underground car parking, gymnasium, indoor swimming pool, tennis court and has 24 hour security. A bright 3 bedroom apartment, on the 4th floor of Walnut Court. It benefits from one underground parking space, use of a gym, access to gardens and is within the secure Kensington Green development. It is close to Kensington High Street and Kensington Gardens and has lovely west facing views. An impressive three bedroom apartment located in this popular building which benefits from security, parking and is moments from Kensington High Street. Located on the second floor with west facing aspect and three double bedrooms. Offered in good condition throughout.